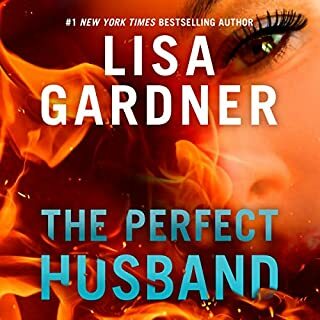 When Louise Braniff hands Barbara Holloway a large retainer and asks for complete anonymity, the Oregon attorney is both intrigued and suspicious. The woman, a respected music professor, is a member of a group that sponsors worthy causes involving women. And they want Barbara to defend Carol Fredricks, a gifted young pianist who stands accused of murdering the manager of a piano bar. Not long ago Barbara heard Carol play, and that is enough to convince her to take the case. But now the questions are coming faster than the answers. Carol's straightforward version of what happened the night Joe Wenzel was murdered clashes with the incriminating evidence against her. And how can Barbara explain the oddly incomplete picture she gets of the young woman herself? Carol can't remember a huge part of her past, only the new life that began when she woke up in a hospital at the age of eight to learn that her parents were dead. She has no memory of learning to play the piano and is having haunting nightmares about a woman named Carolyn Frye. 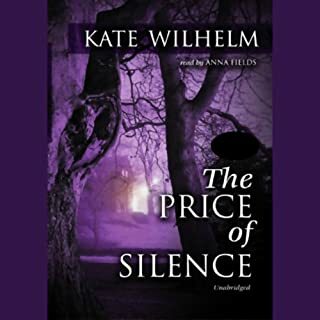 Soon Barbara is convinced that her client is not only innocent but that she is being framed by ruthless foes who will stop at nothing to keep the past buried. However, proving the case and keeping her client safe will require every drop of Barbara's notoriously fierce determination to get at the truth. 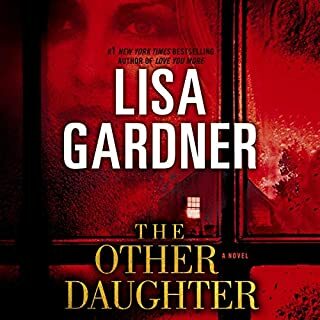 And as she unravels the stunning trail of deception, hatred, and remarkably deep abiding love that holds the key to the mystery of Carol Fredricks, Barbara discovers that the unbidden truth may just damn them both. 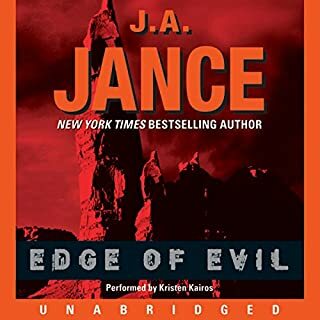 I truly enjoyed this book and the narration, It was well paced, and kept me interested and wanting to keep listening till I got to the end. First, note that there is nothing wrong with the audio and those complaining should instead check their listening device or download a new copy. Just finished this book, my 2nd Barbara Holloway mystery and I was on pins and needles until the end. Great writing, enjoyable and believable characters. I plan to download all of the novels eventually. Set in Eugene, Oregon is also a plus as my husband is a UO grad. While I don't know the city and eateries, I'm sure he will when he listens. Keep writing these Ms. Wilhelm! Good job! 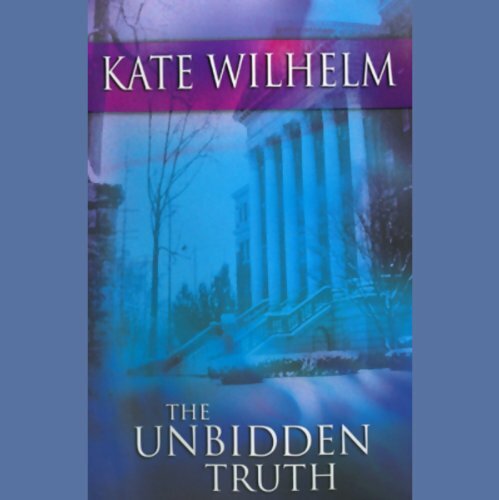 I really enjoyed the Unbidden Truth, as well as the other Barbara Holloway mysteries. It is well written with believable, likeable characters and expertly narrated. 4 stars- that's pretty darn good! No great character development or delving of motives here, but plenty of action. The plot moves (not quite as swiftly as it might) and there are suprises the reader can guess at, but probably not solve. I prefer that to "sudden" suprises that I have no chance to solve or "predictable" ones that I get really tired of. The good guys are good and likeable, the bad guys are the ones you love to hate. It''s a good listen. 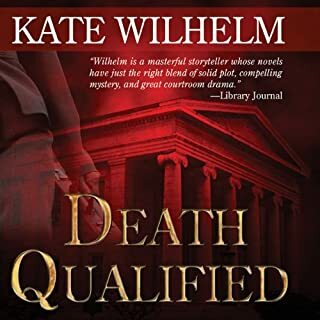 Kate Wilhelm is one spectacular mystery writer. Holds your attention from beginning to the end. "Thing 1 and Thing 2"
What made the experience of listening to The Unbidden Truth the most enjoyable? Ms Fields uses one of her very best voices for the "Herbert and Detective last scene characters" See Susan E. Phillips, It Had To Be You, Dan character. She did not use this accent often, but it was her best. What other book might you compare The Unbidden Truth to and why? Like a few of this author's works, there are several stories being unveiled so you must have patients as these are not fast pace adventures, but unfolding bits of information that give you the "ah ha". 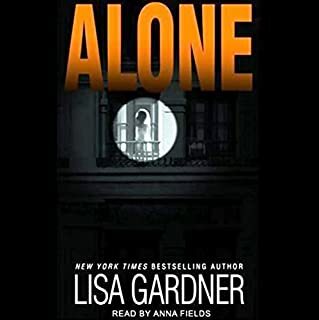 When you finish a story, you immediately want to start another in this series that A.F reads to see how and what the characters contribute in the next adventure. All scenes with cats and dogs were sweet. Herbert's cooking tips, will have to try duck when making chili. yes, when the exchange of a story was told in the last couple of chapters. The audio is awful. There are huge blank sections - specifically over a key plot point. Anna Fields drawl or southwestern mannerisms completely overwhelm the story. Surely there must be a better reader. Imagine my shock when you used this reader for Donna Leon's Italian police procedural. The reader is just ok, the story is just ok, the characters are just ok.